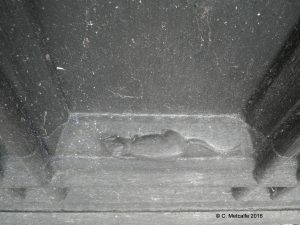 Many people know the saying ‘as poor as a church mouse’. If you walk round the outside of St Swithun’s church, just past the Church Hall and Parish Office you will come to a pair of doors on your right. 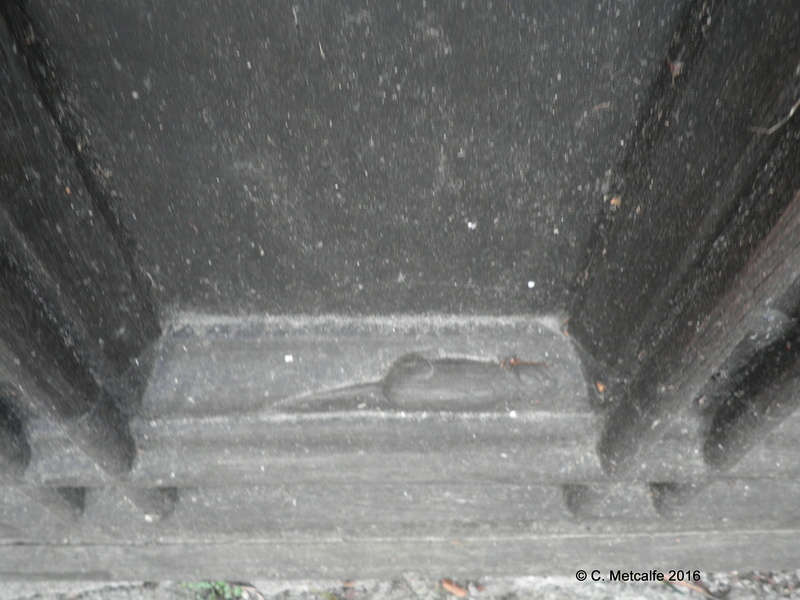 Low down on each door are 2 carved mice running in opposite directions. This is a lovely feature for young children to find. 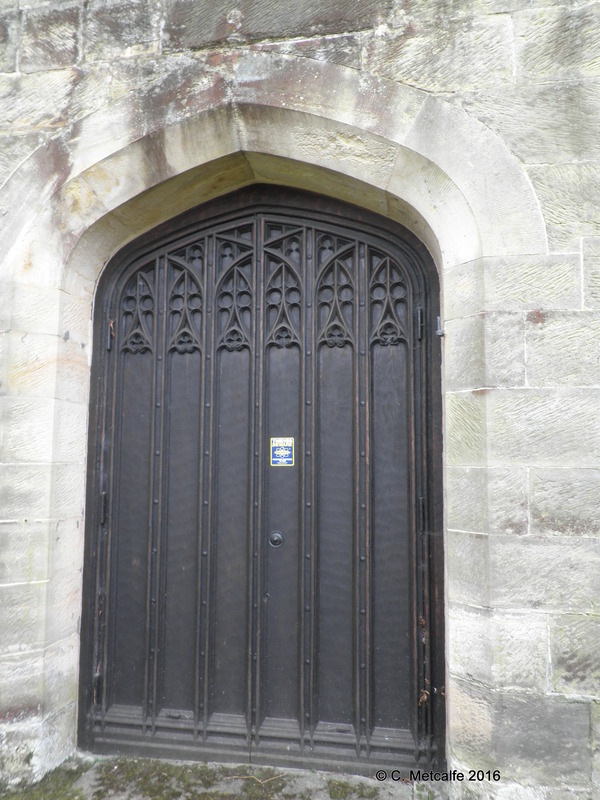 The doors come from the workshop of Robert Thompson, in Kilburn, North Yorkshire. He made oak furniture. By tradition, Thompson and a colleague said that although they made beautiful furniture for others, they were ‘as poor as church mice’. 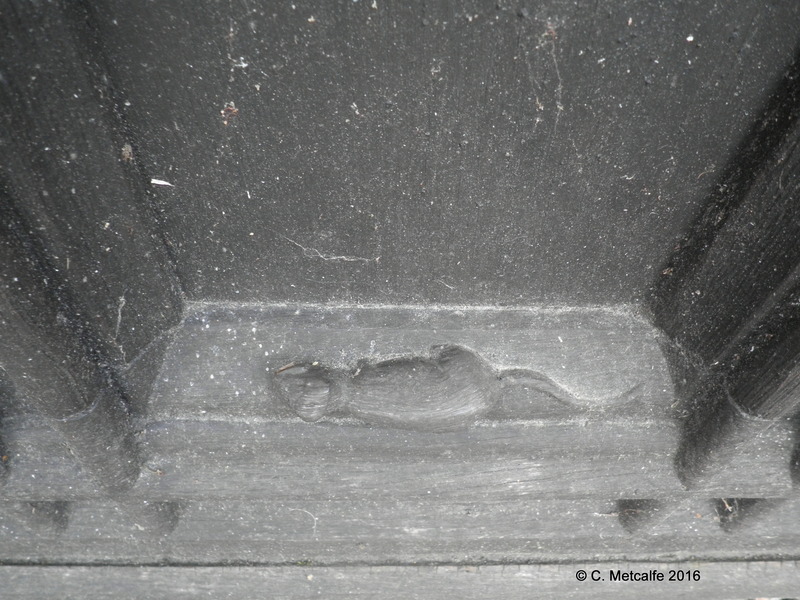 From about 1919, the church mouse became a trademark symbol for Thompson’s workshop. Thompson lived from 1876-1955. His workshop is run by his descendants and has a showroom for visitors, beside the parish church there. Thompson was part of a revival of craftsmanship in the 1920s, inspired by the Arts and Crafts movement of William Morris, John Ruskin and Thomas Carlyle. Thompson was the son of the village carpenter and stonemason. He rejected ‘modern’ tools and preferred to use the adze for shaping and smoothing wood. This door has a distinctive surface and you can easily imagine a craftsman working to smooth it. 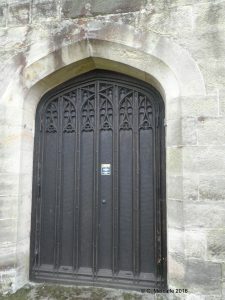 The doors are called the Hastie memorial doors and were installed in 1926 in memory of two members of the Hastie family.